Q: What is the purpose of the grid design? 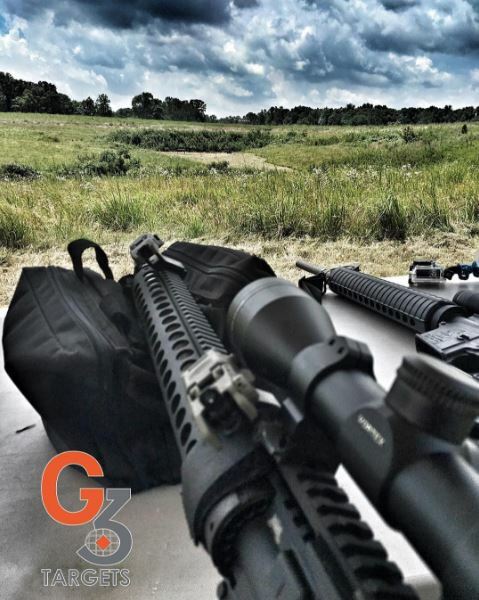 A: Our targets are designed and machined with a 1" grid on the face to help sight in your rifle. The grid provides easily visible MOA adjustments. Q: What is a safe distance for shooting the target? A: We recommend these targets be hung up at no less than 100 yards in a way that allows the target to swing freely when struck. 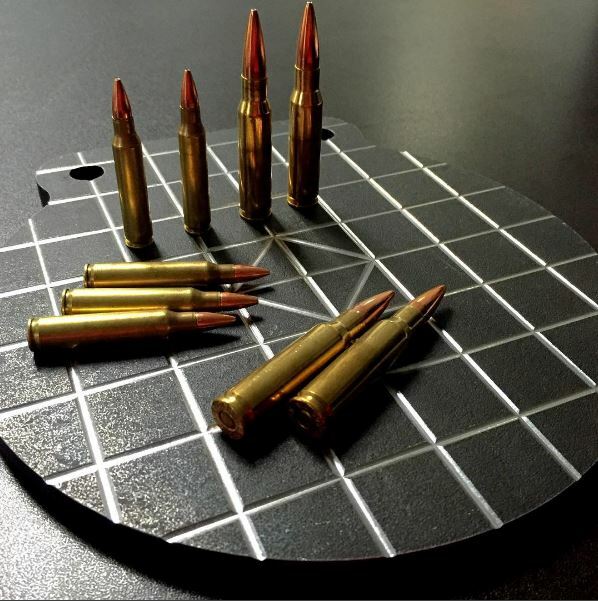 Q: What caliber range are the targets able to withstand? A: We have tested our targets extensively with calibers from .223; 30-06; 7 mm magnum; 300 Winchester magnum; .308; 35W and others. The biggest determining factor is bullet load and velocity. We recommend a velocity of less than 3,000 feet per second. Do not shoot any steel core or solid copper bullets at the targets as they can cause significant damage. A: Absolutely. Send us your idea. If you own a range, contact us for special bulk pricing. A: We stand behind the craftsmanship of our products and will replace items that are defective under the parameters of our recommended usage. A: While unlikely, ricochets always pose an unfortunate hazard to recreational shooters. Most bullet impacts will result in small, scattered fragments - but the possibility of a ricochet is real. Always be at a safe distance and wearing proper safety equipment. Do you offer military/LEO/first responder discounts? Yes! Please send proof of service to service@g3targets.com to receive your 5.56% off coupon code.